Compliant contract information management with exceptional visibility and detailed reporting. We know keeping on top of contracts, managing suppliers and making sure everything complies with standard can be hard work. That’s why we created Accord. Providing you a smarter way to look at data, Accord gives you a complete picture of your purchasing activities and ensures nothing gets missed in the procurement process. Providing information at its best and giving you real time data with simple and orderly dashboards, Accord offers the perfect solution for busy procurement departments. Accord makes all the ways you’re used to communicating more convenient; meaning information about suppliers and contracts can be shared amongst teams at the click of a button. Configured to the way you want to see information, Accord can improve your decision making and negotiation times to help you control spending by notifying and sending alerts to you when a contract is due for renewal together with all the contracts details. With reports on spending, secure storage of digital copies of contracts and tender/quote logs, you can relax knowing contracts are being managed in the most efficient, cost effective and compliant way. Accord makes managing contracts easy. Accord helps you to be compliant. Accord helps you control spending. Enable collaborative working with a centralised register of contracts. 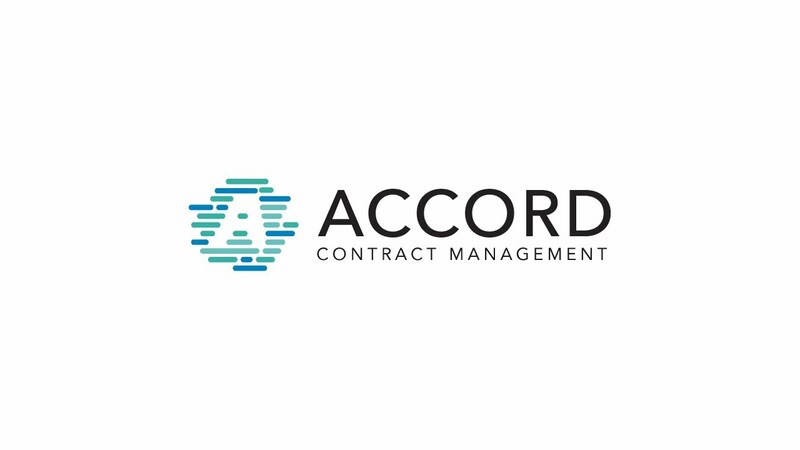 Accord manages current, un-awarded and historic contracts. Improve everyone’s visibility of the progress throughout; reduce chase up times and generate longer supplier negotiations. Accord is proven to save time and money. Gain full visibility of everything to do with your contract. Accord forges a relationship between your internal stakeholder, the customer and the contract being delivered. Increasing the visibility of your contract awards ensures your organisation is minimising risk for governance and compliance purposes. Store and manage all your customer’s data and save time by viewing at a glance which contracts you are delivering to each customer. A quality Customer Relationship Management tool that provides you with a register of auditable activities for compliance. Upload specifications, quotations, softcopy contract, Service Level Agreements etc., in any format. Version them and search content of documents for rapid retrieval. Save time and effort; know where your documents are. Save time by viewing, at a glance, which contracts an internal manager, department or stakeholder is responsible for. See a register of auditable activities. Gain compliance through good Internal Customer Relationship Management (CRM). Have Accord alert you or a colleague or your manager; make sure that nothing gets missed. Send email or SMS messages to alert your team to matters requiring urgent attention. Enjoy a smarter way to look at data. See at a glance, real-time information, metrics and other key data points relevant to the business and your contract management process, through the use of data visuals on a digital dashboard. Control your users. Set user role permissions and hierarchy to specify what tasks users can perform and what information users can access. Set activities for yourself or your colleagues against internal stakeholders, suppliers and contracts. Save time and money by ensuring nothing gets missed with collaborative working. Show due-diligence to any internal or external auditors with a register of auditable activities. Significantly improve productivity through focusing your team on their individual work plan. Not only that, as a manager, you have the ability to be able to see each of your teams work plan, instantly. Helping you to effectively resource plan. Save time with data automation. Choose from a set of standard reports or export any stored data into a report. Instantly access any of your data any way you wish. Bolt on our additional modules that fit perfectly into Accord. Provide a collaborative working environment for your Suppliers for handling compliance documents. Alert Suppliers to Project/Contract milestones, reviews, renewals etc. Drive Supplier engagement to help with your productivity and save time. Manage full asset registers so that maintenance contracts are linked to your site equipment, for inspection, calibration and planned maintenance needs. Deliver complete compliance throughout the business. Have a clear view on overall progress of each stage from: Initiation, Requirements and Advertisement, to Evaluation, Contract Award, Implementation and Close Off. Manage your projects life cycle to evidence compliance in your tendering process. Have a clear view on overall progress of each stage from: Initiation, Requirements and Advertisement, to Evaluation, Contract Award, Implementation and Close Off. Manage your projects life cycle to evidence compliance in your procurement processes. Ensure your organisation keeps on top of spend and generate savings through data automation. Track and measure projects and potential savings while having clear visibility on all projects and contracts. Cost Avoidance, Inflation Negation, Cash Releasing and simply Contract Renegotiation; Accord helps deliver savings. Create clear insights and record, review and rate your suppliers to drive performance, initiative and improvements. Identify any risks, cost savings, innovation opportunities and successes, value for money initiatives and customer satisfaction; Accord helps deliver savings. Create clear insights and have visibility on non-compliant procurement processes that need to be reviewed and improved. Gain contract overview, with a forward look into contracts to understand which are expiring and to plan ahead while additionally creating spend analysis reports. Enable collaborative working with additional Contract document tools to enforce competency and compliance within the procurement process. Generate, version and approve documents linked to your contract to improve visibility and document storage. Here to help, through every step. We are motivated to creating lasting partnerships and ensure your experience is a personalised one. We pride ourselves on personalising our software and services to tailor your business, so we get it right the first time, and on time. Target’s clients are diverse. We empower businesses with various systems. The Team can master the complex projects that have the potential to create a lot of value for our clients. We understand software is big investment, that’s we’re here to make that process simple. We’ll help you mitigate risk, gain the control and visibility you desire and get the maximum value for your budget. In order to help you gather your requirements from key stakeholders we meet, interview and document the business requirements. Typically 1-2 days to deliver, larger projects can require more consultancy time. Base System Deployment, Configuration and Training. Including Unlimited Users and a Dedicated Helpdesk; Target provides Security, Secure Hosting, Application Maintenance, Support & Free webinar training for users. Want to know more about Accord?